HR360, your online HR library, provides our clients an award-winning resource that delivers comprehensive, easy-to-navigate human resources and benefits news, content, tools, and forms to companies nationwide. The library also features dynamic interactive HR tools, such as a job description builder and a salary benchmarking tool. You’ll find easy, step-by-step guidance on how to comply with major laws–including ACA, COBRA, and FMLA–as well as key HR functions, such as hiring and terminating employees. Whether you have five employees or 500, our comprehensive, easy-to-use site makes it easy to stay compliant. HR On Demand offers clients expert advice, information, and assistance to help effectively and legally handle day-to-day operational and employee-relations issues. 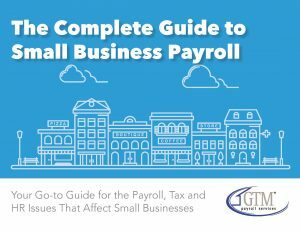 If there is a need to resolve workforce utilization problems, make business-related, defensible personnel decisions, develop fair and sound policies and practices, and/or continue to operate profitably while maintaining satisfied employees and customers, GTM’s HR consultants are available to help. Learn More about getting HR On Demand! Contact Us for a customized quote on our HR Services.